When the Rift opens, death follows. For generations, the Rangers of Black Water Island have guarded the Old Herd against horrors released by the Rift. Cal West, an apprentice Ranger with a rare scar and even rarer gifts, fights daily to prove he belongs within their ranks. After nine years away, Meg Archer returns to her childhood home only to find the Island is facing a new threat that not even the Rangers are prepared for. Meg and Cal can’t ignore their attraction, but can they face their darkest fears to save the Island from disaster? So many unanswered questions and possible plot continuations. Please let this turn into at least a duology, PLEASE RACHAEL! What becomes of Rilke? What goes down with the Nutris Pharmaceuticals a######s and the cull? I need answers Rachael, please! Okay now that I got my little beg session out of the way let’s continue shall we. Rachael Craw has developed a rich and evoking world with her Actaeon’s Bane, Rift Hounds, Black Water Ranger community and Fortune Hunters. On an island in our modern world that is hardly been touched by modern luxuries and technologies. Think Yukon Men gets paranormal in the beautiful rugged wilderness of the most remote parts of New Zealand – actually drop the paranormal and that is my idea of heaven on earth, bye bye modern world, I’ll pop my head back out every other month or so to say hello. But this is a story and not my idea of paradise and as you all know I love my stories with a paranormal twist. So perfect… yeah kinda. 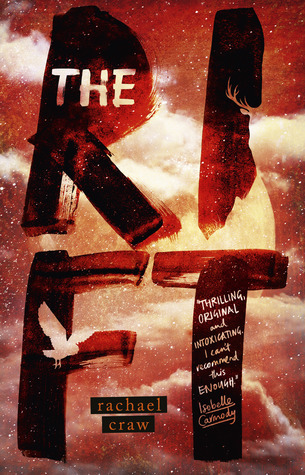 I found The Rift to be an unsettling read, as in I couldn’t preempt what was going to happen and I was on the edge of my seat the whole time. The story swaps between protagonists Cal and Meg chapter for chapter. The story begins with Meg’s return to the island nine years after the event that scared her physically and emotionally, cost her her best friend and her dreams of growing up to be a Ranger like her father. Cal has spent the last nine years trying to appease those that don’t think he belongs. He spends so much time hating on himself and struggling with the aftermath of the night that led to Meg being taken from the island, that it is a relief by the end of the story to get to see him live again, to see him with love back in his life. The bad guys are a little too real for comfort. Selfish, self-righteous and filled with greed. Because they exist in real life, because men act like this in real life, it makes them all the scarier on the page. I kept thinking about tigers and how they’ve been hunted to near extinction for their medicinal properties – although this is Deer not Tigers. The story deals with grief, longing, acceptance, bravery and the ethical ramifications of hunting. There are possible triggers for people, what with all the animal death and attacks, but I found nothing was unreasonably graphic, gory or over the top. I think Rachael has managed to tell a beautiful story that deals with some very dark things. And I truly hope to read more about Black Water in the future.